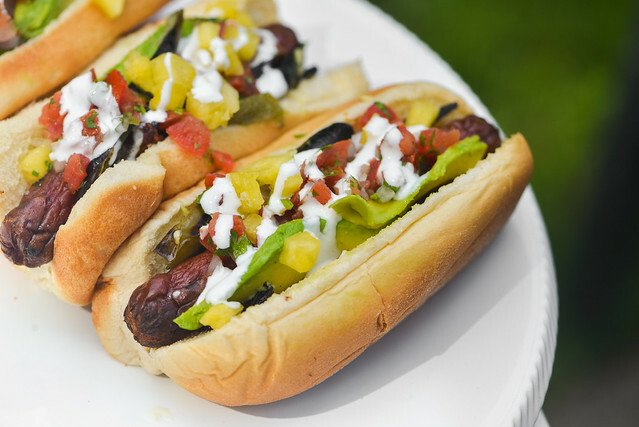 I had a hard time deciding what to call this recipe because this style of hot dog goes by a number of names—Danger dogs, Mexican hot dogs, Tijuana dogs, etc. The major defining trait of this hot dog is that it's bacon-wrapped, and more often than not, deep fried. It's then topped with any number of Mexican-influenced toppings, so can take many unique forms from there. My lockdown on the name and topping combination ended up being decided by an illustration by Hawk Krall that labeled a Tijuana dog with an array of add-ons that sounded perfect in my mind—pico, jalapeños, pineapple, avocado, and crema. In the end, this led me down a very delicious path. If you're anything like me, your Memorial Day prep is already underway. I actually used to not host cookouts on the big grilling holidays because, chances were, someone else was planning one. That changed in recent years though, and I've found that when you invite people over for Memorial Day, Fourth of July, or Labor Day, everyone shows up. That translates to cooking up large smoked meats, where just a few things can feed the immense crowd. 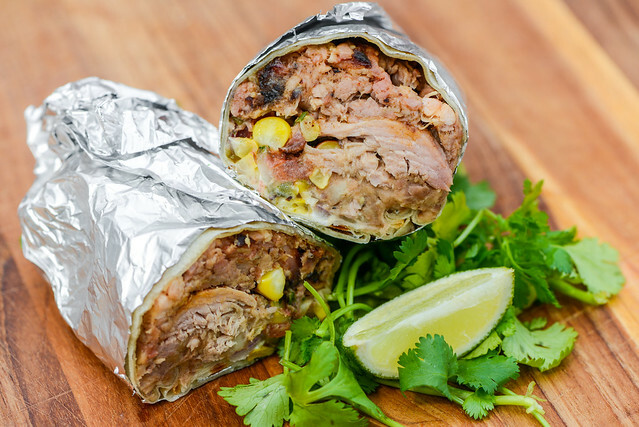 Pork shoulder is my go-to, and the recipe from Big Bob Gibson is my standard, but I do get tired of always doing pulled pork the exact same way, so I came up with something different to offer as an alternative to the usual—a chili-rubbed smoked pork shoulder served as burritos. Wing month soldiers on, this time with a story of redemption. See, I had the idea for these al pastor wings years ago and made them to results that were less than my standard of quality. I still posted the recipe though on Serious Eats, and it's always irked me that it remains out in the wild while I knew I could do much better. 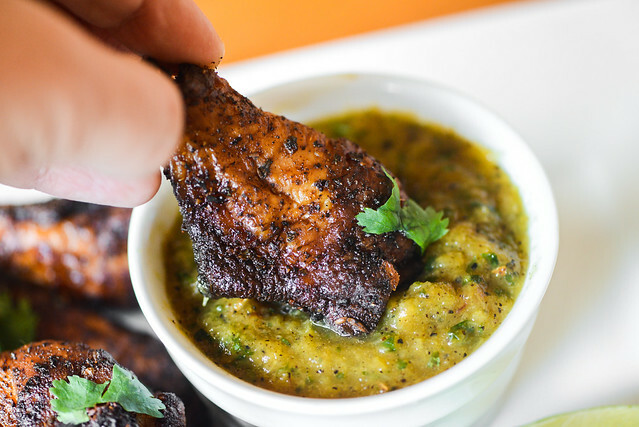 So I finally took another stab at making these Mexican-influenced wings and this time around I got a recipe I can proudly stand behind. Oh fall, what a wonderful time of year for orange foods, and in my opinion, there's none better than sweet potatoes. Once the weather turns to those crisp and cool days, my desire for these sweet spuds ramps way up and I find myself grilling frying, and baking them often. 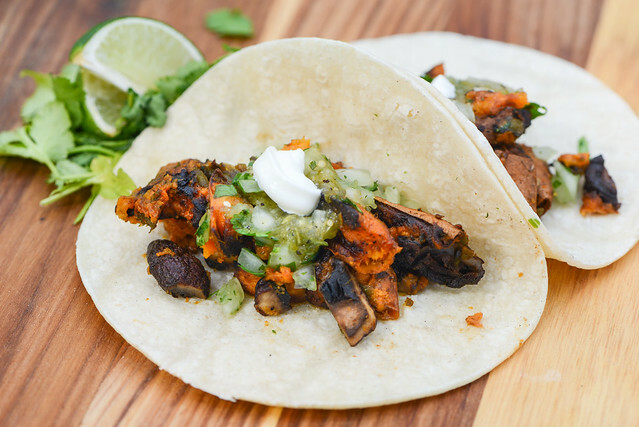 My go-to preparation is to just straight up roast wedges and enjoy them with a spiced yogurt dip, but I had this idea to make them into tacos with mushrooms and poblano peppers this time around, which didn't disappoint. Back in my early days in New York, a good friend of mine had a place across from Cafe Habana on Elizabeth and no trip to see her was ever complete without stopping by the take-out window for some elote either pre- or post-visit. This Mexican corn—slathered in spicy mayo, rolled in cotija cheese, and served with a slice of lime—became so ingrained as part of my diet by the time I took up grilling, it was among the first sides I ever tried cooking myself. 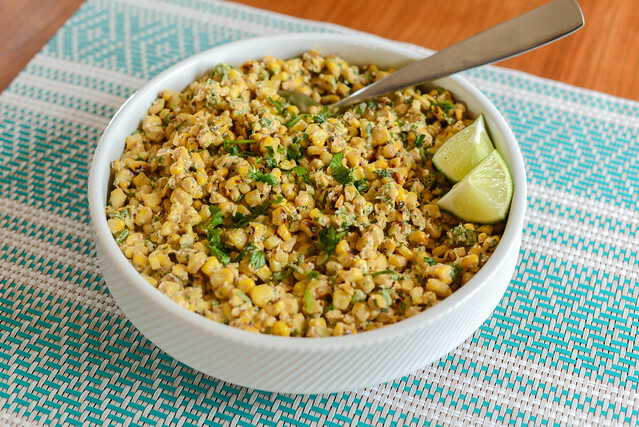 Since then, it has continued to be my go-to for many cookouts, Mexican-themed or not, but while this satisfies a craving, it also means no new fodder for recipes to share. Then I realized there's a way to have my elote and still blog about it too—make it in salad form (otherwise known as esquites)!